Validation is offered for two hours of self-parking at L.A. LIVE. 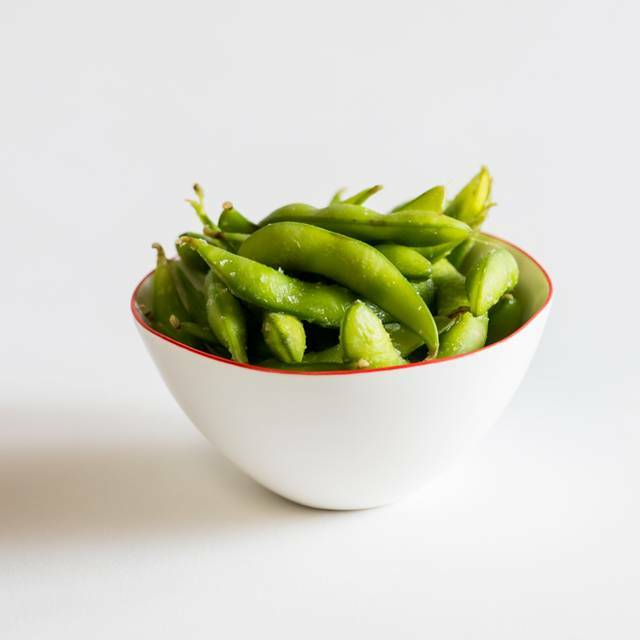 From intimate to grand, let sbe Events + Catering plan your perfect event at Katsuya. Katsuya L.A. LIVE accommodates up to 400 guests with design by Philippe Starck, on-site and off-site catering, custom menus by Master Sushi Chef Katsuya Uechi, and premium mixology and specialty cocktails. 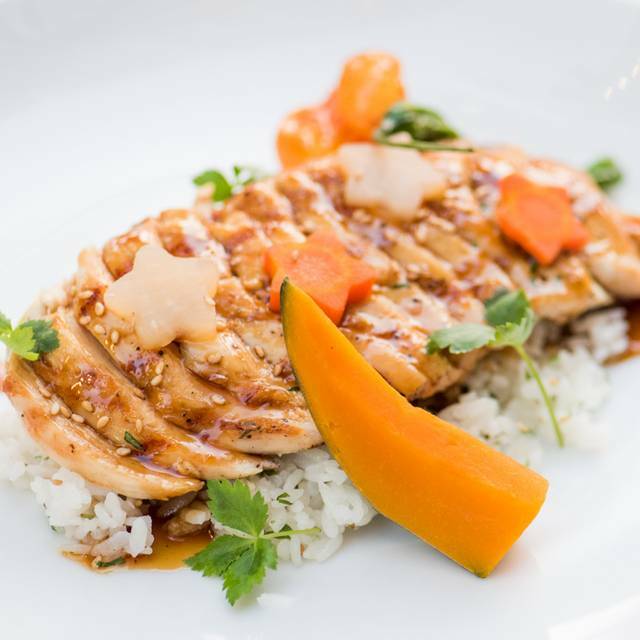 Visit www.katsuyarestaurant.com or call 323.525.2400 to plan your event today. Katsuya is the Los Angeles Times Readers’ Choice "Best Sushi Restaurant" in Southern California and one of OpenTable's "50 Hottest Restaurants in the U.S." Featuring the dynamic pairing of Master Sushi Chef Katsuya Uechi and design impresario Philippe Starck, Katsuya by Starck is truly a feast for the senses. 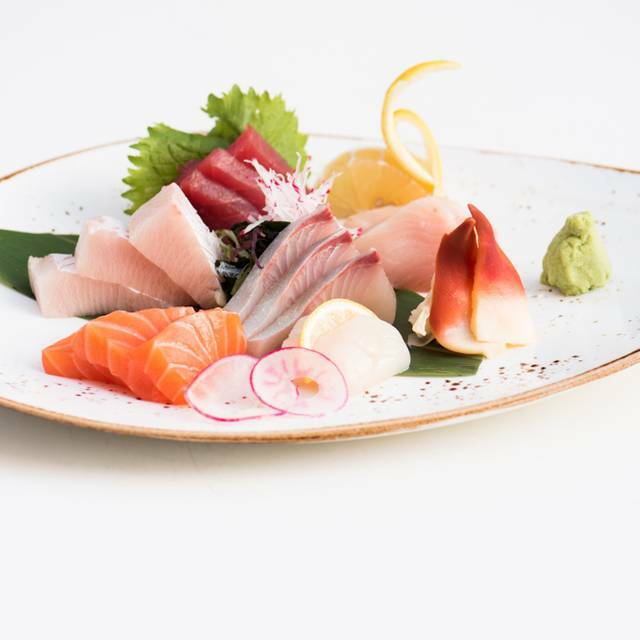 With specialty cocktails, unique rolls and spectacular sushi and sashimi platters, Chef Uechi skillfully translates Japanese flavors to the American palate. 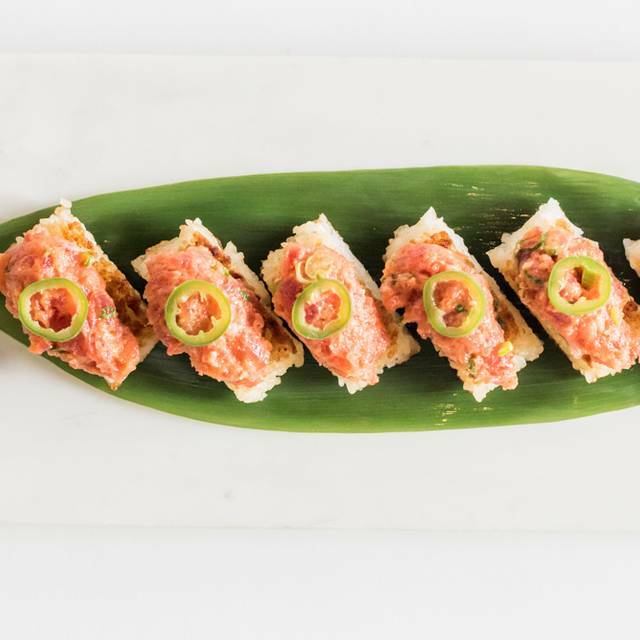 Signature dishes include Crispy Rice with Spicy Tuna, Yellowtail Sashimi with Jalapeño and Miso-Marinated Black Cod. 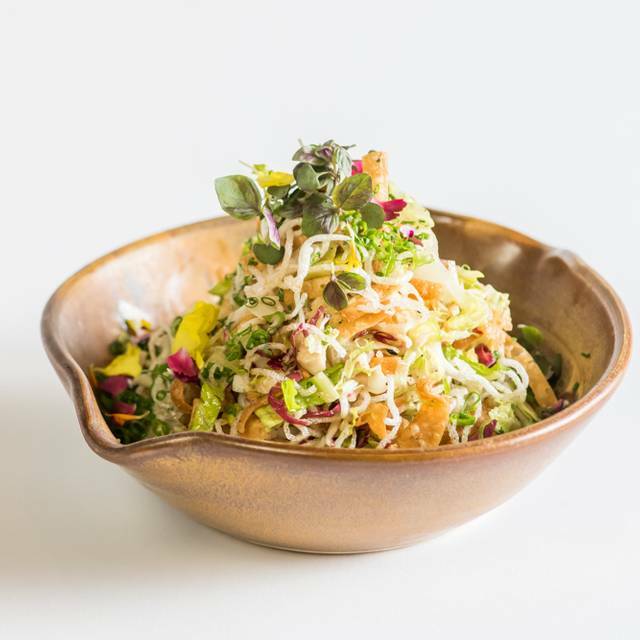 With superb talent and exacting precision, Katsuya by Starck is changing the face of Japanese cuisine. The staff is quick and the sushi is great! The atmosphere is very energetic and fun! I would highly recommend a pre-game meal here! Food was delicious but food was unbelievably slow. Over an hour to get an eggplant dish? Kitchen overworked during peak hours. Couldn't keep up with demand. The tables are too close to each other. The sushi selection is very limited amd the prices are unjustifiably high . The service was great. I will not return - there numerous better choices in downtown even in close proximity to Staples. mix-up & their reaction to their mix-up upset me, since I brought someone from out of town, who had never been there before. Again, with the restaurant being so empty, our server was very inattentive & when I asked for additional noori crisps for my very expensive starter, in was told there woild be an upcharge! No apology, no "let me speak to my manager." I don't even care if there was an add'l $1 upcharge, I just thought then service was inconsiderate & unaccomodating. My out of town guest did rave about the food, which was excellent, however, agreed that the quality of service could have been better. That is why I will not give a 5 star rating. I spent $185 & I can't get a few add'l noori crisps without an upcharge? Really? Very expensive for the amount of food served. Great decor and service, but need to make the portion sizes larger. We are parents who provided a ride to our teenagers to see a concert at the Microsoft theater and needed somewhere to hang out until it was over. I had no idea that Katsuya was more than just a cool place to spend a few hours. 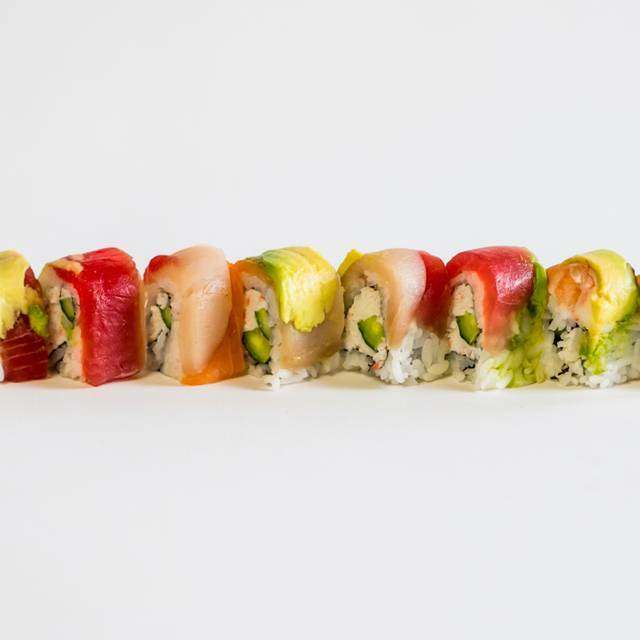 We consider ourselves sushi snobs and we were blown away by the quality of fish we consumed. 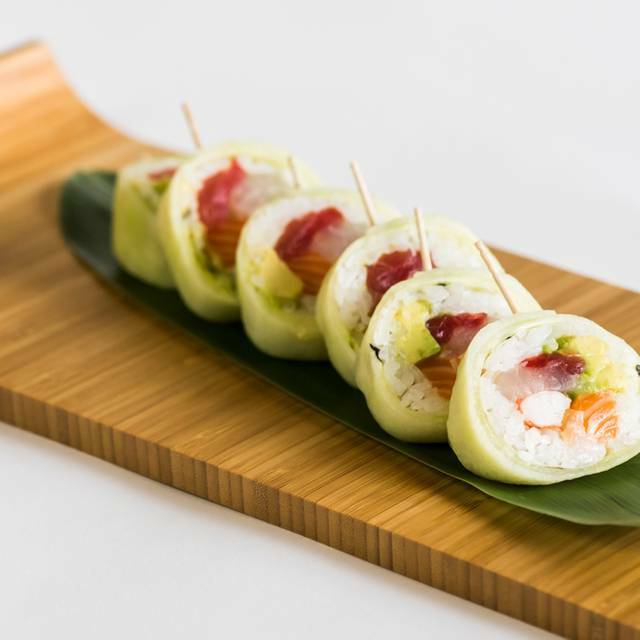 Rolls, sashimi, sushi - just delicious! Plus, our chef and our server were so top notch. An all around five star evening. We will be back!! We were there prior to the Kings games. One of our favorite place to eat before a game. Great vibe. The food was amazing. The waitress recommended the crab hand rolls and they did not disappoint. Service pretty much was painful but outside in beautiful weather eating short ribs and sushi. What’s not to like. The food is always delicious and is prepared quickly and expertly. However it is always crowded and the servers/support staff always seem a bit overwhelmed. They are always polite and get the order, but it is often hard to get the little things like water and getting the old dishes bussed off the tables. At this price point that kind of thing should never be an issue, so it lowers the "value" of the meal in the rating. We did not get our drinks for an hour into our meal when we were actually asking for our check. Horrible service. Had a reservation, the line to just let them know you were there was way out the door. By the time we were able to check in, we were past our reservation time, and we were told it would be another 30 minutes. Need to better handle, if you can’t honor a reservation, you shouldn’t make it. It was over booked. Service was awful. Our waiter messiel was great but you can tell he was overwhelmed but was doing his best. Our warm rolls came out cold. It was a disaster. It was insanely loud and the service wasn't good. It's so disappointing because I love their food, but would recommend the Hollywood location over this one. So we had a bunch of different items when we went, from sushi to baked lobster claw and it was super yummy.....all of it. And it goes with out saying, when you go to an upper scale joint in LA you better take you Gold Card. I think my daughter and I dropped over $200. Great ambiance but the food isn’t all it is cracked out to be. It use to be better, now it has a very chain-y feel. Excellent food beyond your imagination! My favorite restaurant of all times! Katsuya in Hollywood and in Brentwood are much better restaurants. Food quality is better, presentation is better and the service is better. This place was decent, but way over priced for what we ordered. Too expensive and noisy to be enjoyable. The food is tasty, and service is friendly, if less than attentive. I will definitely skip the LA Live Katsuya in the future. We waited for more than an hour to get our order and two dishes were not what we had ordered. The waiter didn’t apologize and was very rude to us. Will never dine here again. This was the second time dining here and both times were great! Great food, fun atmosphere, awesome service! Great food, especially the short ribs. Probably due to location and size of the place, restaurant packs people in a little too closely. We were one of the first ones there and they sat up right next to another couple although the restaurant was empty (then it filled up quickly). Servers really lacked white glove polish for an upper-scale establishment but are also very busy. They forgot it was my wife’s bday, which I told them at the start/listed it on Open Table. Prices are fair. We came here Saturday night and had a reservation for 10:45. Why would we drag ourselves all the way downtown when we show up and are told the kitchen closes in 3 minutes? Please do not give your guests a terrible and rushed experience by even offering a 10:45p reservation, when they will be pushed out the door the second they get there. Our waiter was far from impressive, but that alone ruined the whole experience for us. A bit expensive, a bit crowded, but we did go on a game night. Overall good experience. Rock shrimp tempura roll... great! Spicy tuna crispy rice... awesome! Baked crab hand rolls... always very good. Yellowtail sashimi... pretty standard. Alcohol refills no issue. No water refills? Come on. The waitress was super busy running around. How is there no support staff to help with clearing plates and refilling water? Big negative to the meal experience and an easy fix for the restaurant to put into effect. 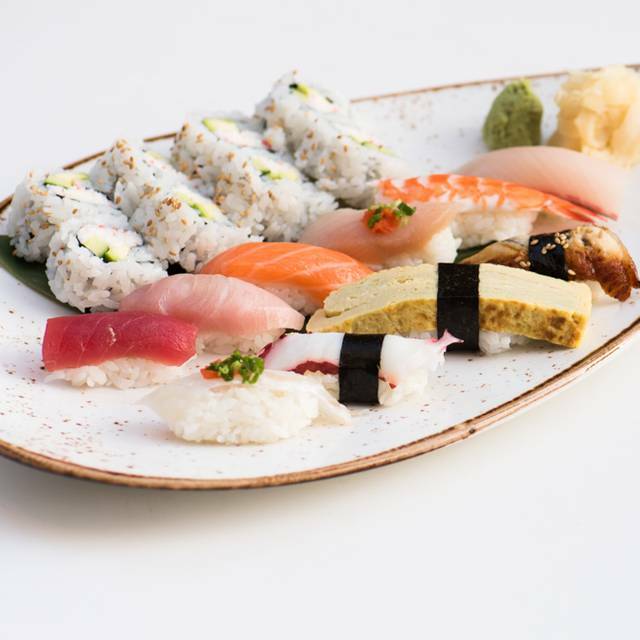 We'd never been to Katsuya, and it was a great choice! The ambiance was really fun (it was a King's game so there were a lot of people dressed in King's gear and were excited for the game), BUT that could be good or bad for a party of two, but for us, we were going to game to, so it was great. I would gather same rules would apply if it were Laker's or Clips too. The food,..... was outstanding. We come from the OC and eat sushi often. 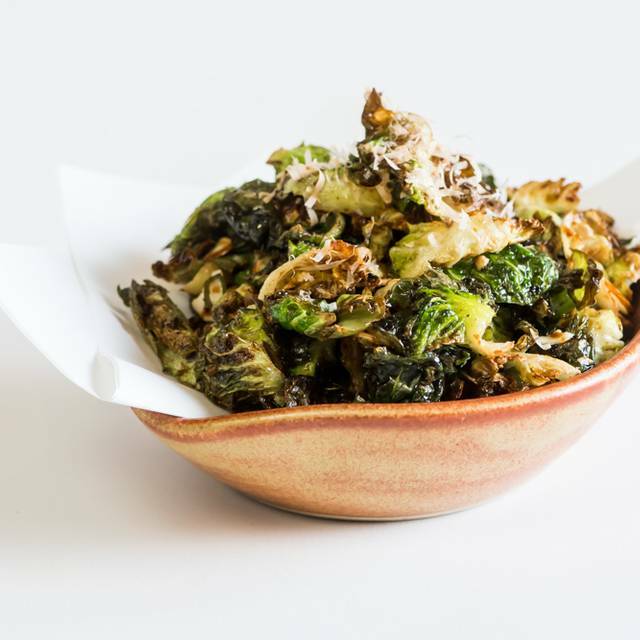 We have our favorites in Laguna Niguel and Dana Pt, and this was just as good and even better. The beef tenderloin appetizers at Katsuya was the best single plate of skewered steak I have ever ordered at a restaurant. Cooked med-rare (to rare as we asked) was really the star of the show. We also enjoyed tempura rock shrimp that was crispy and warm and served with a delicious orange/ginger glaze. And to finish, we ordered a crab hand roll, that was so tasty and had such a pleasant mouth-feel, we both decided to make that our last bites! We also had Sapporo's on tap and a large sake (of course)....... just a great start to a fun night! First time here. Service was phenomenal especially our server Sarah who was just awesome. It was pretty loud which was anticipated but louder than expected. Food was ok. Expecting more. The wagyu tobanyaki was seasoned great and veggies o point but the meat was well done. We asked for medium rare. The sushi was ok. Could’ve been better. The corn roll was the highlight. The chicken jadroi teriyaki was another highlight. Wasn’t a fan of the tuna tartare or the other rolls and sushi that we got. It was just subpar. All across the board. Food, Portion Size, Service, Value. Just blah. Nothing to write home about. If I never go again I’d be okay. Pretty disappointing.